My future ex-wife is practicing pilates in something exceedingly skimpy, meanwhile I’m perched at the counter-bar, entirely immersed in a crossword puzzle, and wearing a plush velvet robe reminiscent of the late Hugh Hefner. Whether or not my coffee needs some extra morning “motivation” is the only dilemma of my day thus far. Why wouldn’t it? 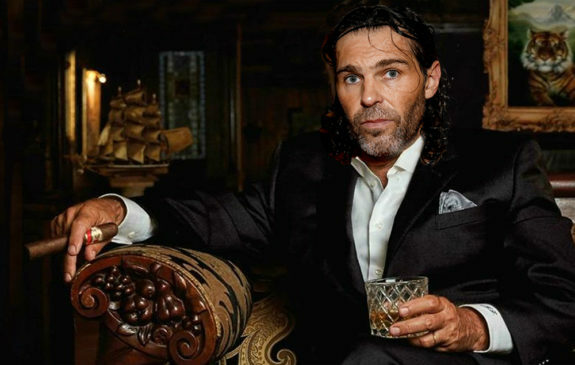 So I pick up a bottle of Baileys, and begin to brighten my day the liquid way, when the ringing of the phone breaks my cocktail concentration. It’s my agent. About damn time I think, as he tells me that he’s got three NHL teams on the line, all of whom can’t believe they’ve let me slip through the cracks for this long. I pick up the phone and we’re just starting to talk numbers, and how this extra 20 pounds is actually mostly muscle, when a boisterous buzz suddenly signifies another incoming call. Reality can be a real cup-check. If you’re reading this, chances are you’ll probably never play in the NHL. I understand that you’re bitter. I am too. Despite, a physical presence that looms larger than my 5’10” frame suggests, I’ve resigned myself to the unfortunate fact that I’m just not NHL material. At this point in my hockey career that wasn’t, I’d almost consider playing for the Sabres, but even the boys in Buffalo have left me hanging. So is there any light at the end of the tunnel for an aging and angsty puck-loving player that isn’t ready to hang up his skates? The answer is an emphatic H-E DOUBLE HOCKEY STICKS YES! Because, even if you’re like me, and the NHL dream grows more distant with every passing day and pepperoni pizza, you can always have a happy hockey home in the beer leagues, and that my friends is a beautiful thing! Although, you’re more likely to travel in a half-dead Jetta than by private jet, and games don’t usually start until around the time you get the first drunk text from your buddy about the buxom bevy of babes at the local bar, all is not lost. For the love of the game still is alive and well in the seedy underbelly of the hockey world, and these following five tips will help you always play at your Beer League Hockey best. Don’t listen to your dentist, he’s only in it for the paycheck. Teeth are unnecessary and overrated in hockey! Especially, in the beer leagues, the rare place where less is really more, and nothing screams “tough guy” like missing Chicklets. 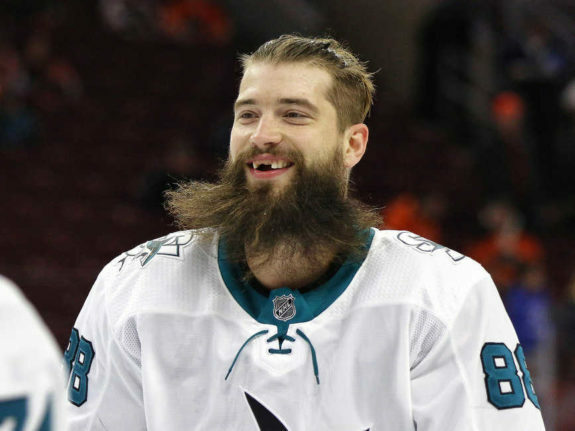 The “absent teeth toughness theorem” can be proven by players like the sharky smiled Brent Burns,whose menacing mouth adds to his tough-guy resume what the man-bun takes away! 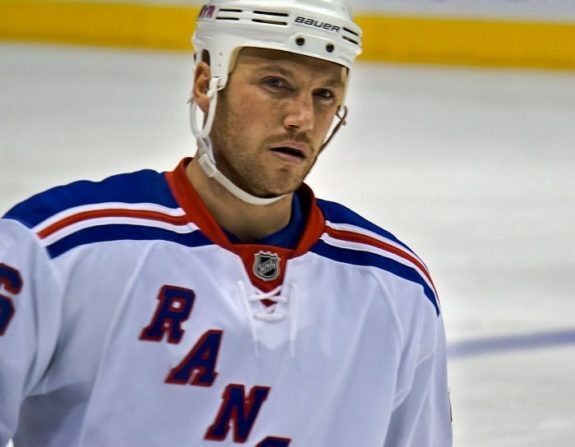 Everyone knows mouthguards are for losers anyways, and why would any sensible hockey player ever wear something that hinders their trash-talking capabilities? Ridiculous! Those unlucky lads who haven’t yet spit any Chicklets in service to their squad, should seriously consider grabbing the most proximate pair of pliers and begin pulling their own pearly-whites ASAP. This will obviously assist you in looking the part of a salty and seasoned beer league vet, which is of course the look you want, and exactly the diligence and dedication that will take you far, in hockey and in life. Beer Leaguers are the rock stars of the hockey world. Just be sure to subtract the sold-out stadiums, groupies galore, and OK pretty much everything else. Not so many moons ago, I actually played three straight beer league games in which the only attendee was a golden retriever named Roxanne. She was a real sweetheart, but it’s the bi-pedal babes that makes the boys think you’re a smooth operator both on and off the ice. Meanwhile, when the game ends and the pretty lady from the bleachers leaves with your goalie, or that guy on the other team with the “real job,” just yell almost loud enough for them to hear, “I’ll meet you in the parking lot, next time!” Easy enough right? It’s important to remember that girls in the stands are worth their weight in goals, and it’s nobody’s business that your personal cheering section consists entirely of paid relatives. Bribery is a small price to pay when respect from the boys is priceless. Trash talking is a nearly holy sacred art that has weathered the test of time on battlefields and ice rinks alike. The ability to break an opponent mentally is often the first step in breaking them physically, and thus ensuring a victorious outcome. Recent scientific research has suggested that there’s legitimately no better place on earth to hone your trash talking skills than in the beer leagues. This is the icy-realm where almost anything goes, and insults, cheers, and jeers seemingly out of left field can often lead incredibly favorable results. Think of yourself as one part Hardy Boy and one part Hanson Brother (hockey not mmmbop), as you endlessly seek evidence that will bring your opponent unbearable and incapacitating shame. 2) If you can’t skate and don’t bring beer, what are you doing here? The beer league commandments are few and far between, but perhaps the most prominent is don’t play above or below your level! Short of an Ebola outbreak in the locker room there’s not much worse than being stuck all season with a guy who can barely tie his laces, let alone contribute to your merry band of beer loving brothers. Equally awful is the former junior player who gets a weekly (opposite of a soft off) by running up his stats in a novice league by skating circles around players whose only idea of icing is the kind that comes on their cupcakes. The inherent beauty of the beer leagues is that there’s room for both big league burnouts and Johnny Try Hards. Just be honest about your abilities, and remember that bringing a case of beer to every game is an automatic level up, and a great way to make friends! Contrary to popular belief, looking good on the ice is of equal or greater importance than actual hockey skills. 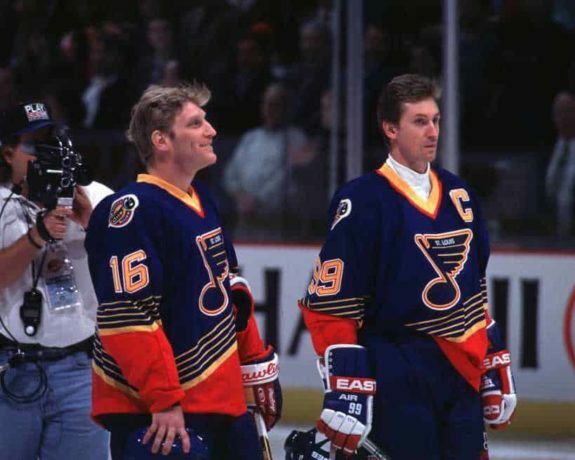 Hockey fashion is not far removed from runways in Rome or Paris after-all, and it’s of incredible importance to incorporate trends into your on-ice look that create an aura of intimidating originality, and also hide the blossoming beer belly beneath your sweater. In high fashion and hockey fashion alike it’s crucial to pay attention to trends. The same vintage Jagr Jofa helmet, and Ovechin-esque wagging tongues that got you mad props from the hockey homies last season, might draw awkward glances and muffled insults from this years crop of boys. Nobody wants to be the awkwardly ironic new guy, but if by three games into the season the boys still haven’t invited you to the bar for a barley-pops after the game, then you’re that awkward new guy. Better luck next time pal. 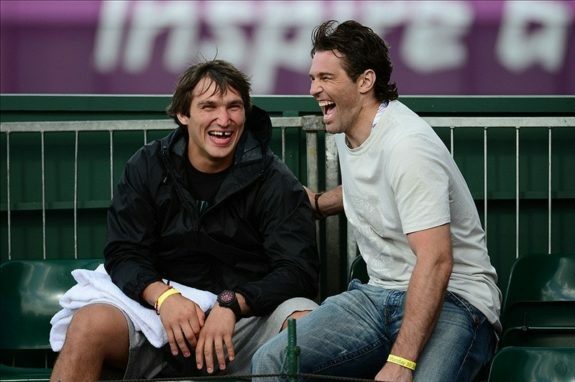 Alex Ovechkin (left) and Jaromir Jagr discussing what you were wearing! My best advice to always look you beer league best is to find some NHL hockey fashion inspiration, and incorporate a little originality into their looks. Dapper dudes like Doughty, Subban, and Lundquist are perfect role models on which to base your latest beer league look! As for the beer belly, black is obviously the most slimming choice. But let’s face it, beer league jerseys are often the awkward, ugly, and unwanted stepchildren of the sweater world, and you’re more likely to wear electric magenta than black. The beer leagues might be the bottom of the barrel when it comes to competitive hockey, but I wouldn’t have it any other way, and you probably wouldn’t either. Because, for one night a week, nothing matters more than keeping those imaginary fans on the edge of their seats, making plays, talking trash, and cracking cold ones with the boys, and in doing so, keeping the dream alive!